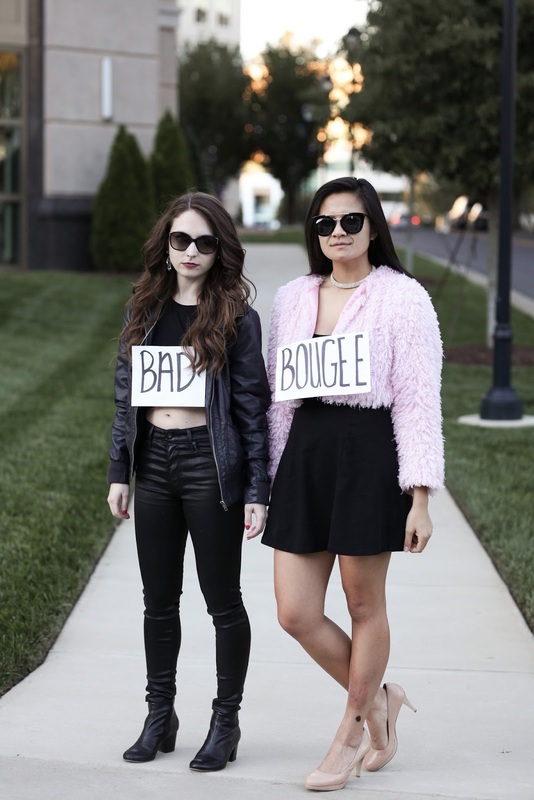 I've teamed up with Amy of Pastel N Pink blog to share this fun duo Halloween costume idea! 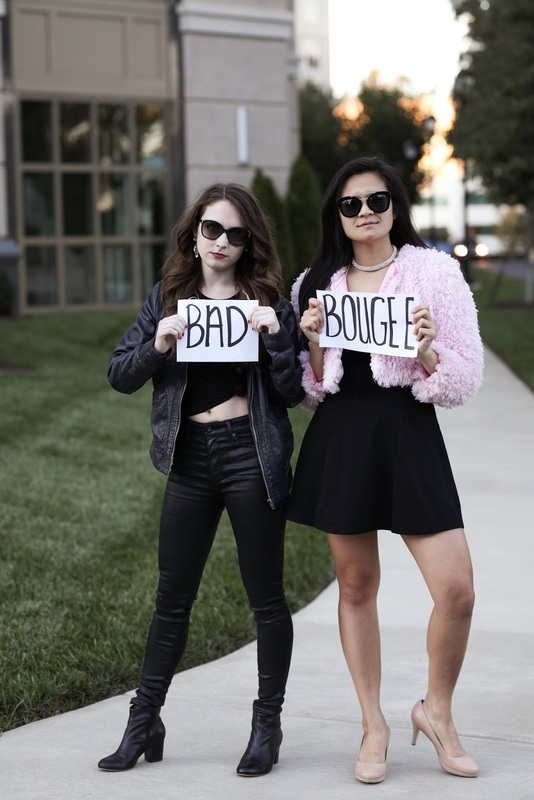 If you don't get it, it's the rap song Bad and Boujee. Yes, we know we spelled the sign wrong...anyway it's my favorite song for pushups and plank in barre classes. So when Amy had the idea, I was so excited to help with this post! 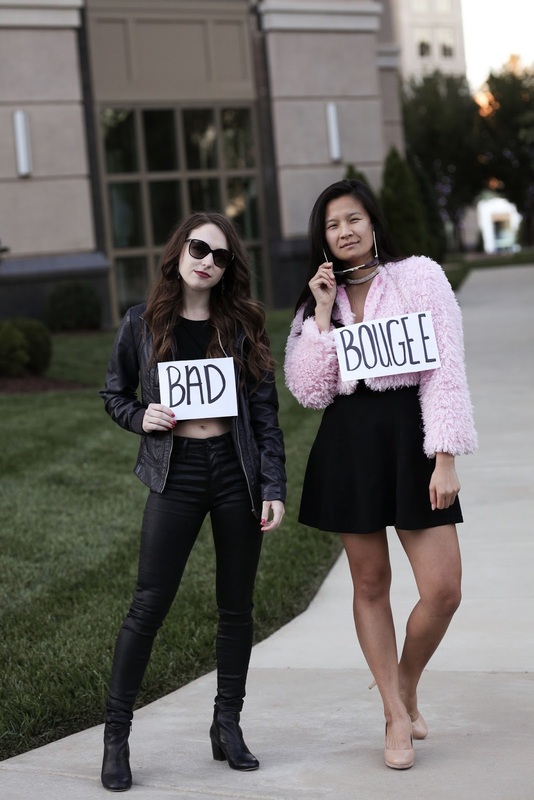 If you read Friday's post, this is another costume idea that can easily come out of your own closet, maybe borrowing a few pieces from friends. I borrowed the top and jacket from Amy, but I already had the rest of it. Which was kind of surprising because it's such a different look for me, but isn't that what Halloween is all about anyway? And don't forget to check out Amy's blog! She's pretty much my style twin, it's kind of embarrassing how many times we have showed up for events together wearing very similar outfits! Such a fun costume idea! Y'all pulled it off so well! You two are just too cute! What a fun costume idea!